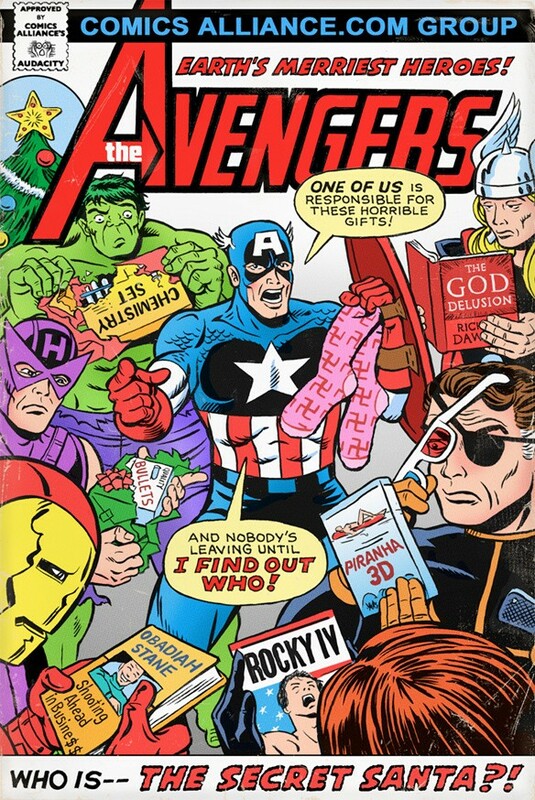 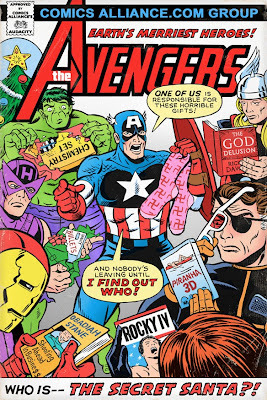 The Daily Zombies: The Avengers in 'Who Is The Secret Santa?! 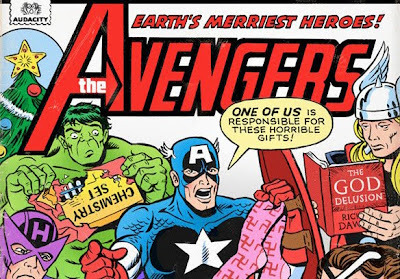 Earth's Mightiest Heroes will not get to enjoy the Merriest Christmas thanks to Kerry Callen and ComicsAlliance. 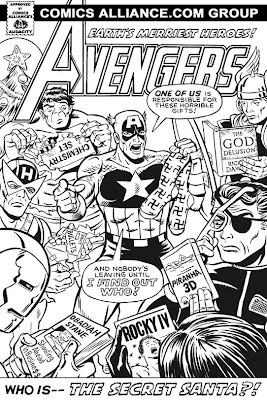 We have earlier featured the work of Kerry Callen, a regular ComicsAlliance contributor and artist of his own webcomic Halo & Sprocket. 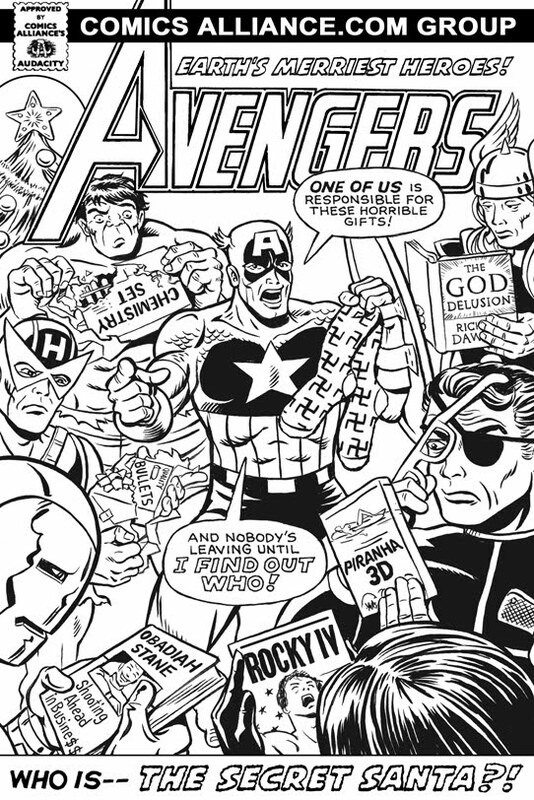 Working with fellow ComicsAlliance colleague, Chris Sims, here's a mock cover to an Avengers story we would love to see published. For those interested to know the error Callen is talking about, do head over to his site to find out.